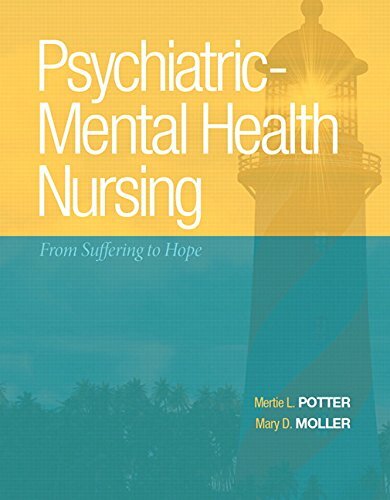 Psychiatric-Mental Health Nursing: From Suffering to Hope takes a new approach to educating psychiatric nurses, teaching them how¿to guide patients from a place of despair to a new beginning. Students will learn to speak like a competent, caring nurse and communicate effectively and compassionately with their patients. A unique chart outlines what nurses might be thinking, feeling, and perceiving during encounters with patients, enabling nurses to facilitate more useful discussions and understand their own feelings. Mental health and psychiatric disorders are presented in terms of how they impact Five Domains of Wellness rather than as isolated conditions. Based on the idea that mental health patients do get better, this text offers a human, holistic way to care for patients.